After an afternoon or evening of tasting, you will know how to order and to purchase wines you that you like, as well as the geography of the wine growing regions, and the grape varietals that they are known for. Take a tour through France with your palette and wine. 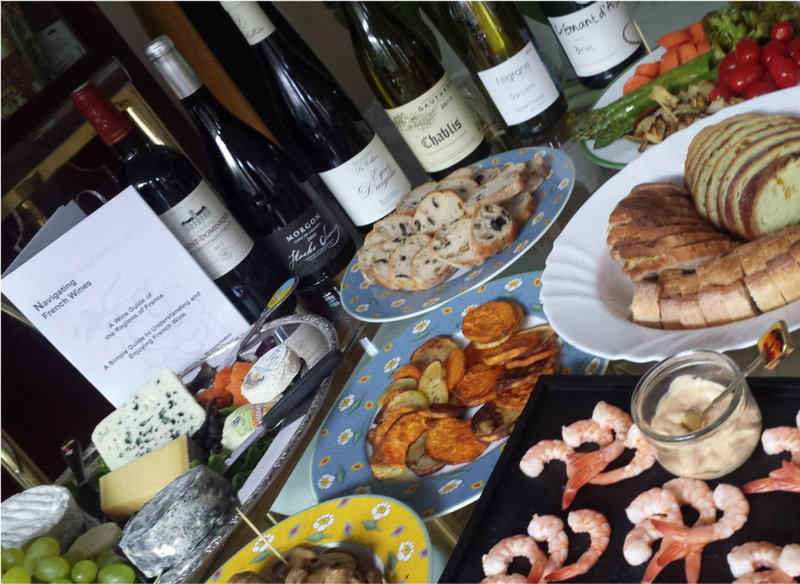 Sample 7 wines from the different wine growing regions of France with a carefully prepared gourmet meal in a Parisian, private apartment. You will learn about the different characteristics of the wines, how to tell them apart and which foods they work best with. This tasting seminar includes 7 excellent wines, and a gourmet meal. A booklet of what you covered is yours to keep after the seminar as a guide and souvenir. After this you’ll never have to worry about feeling lost when you look at a French wine menu.